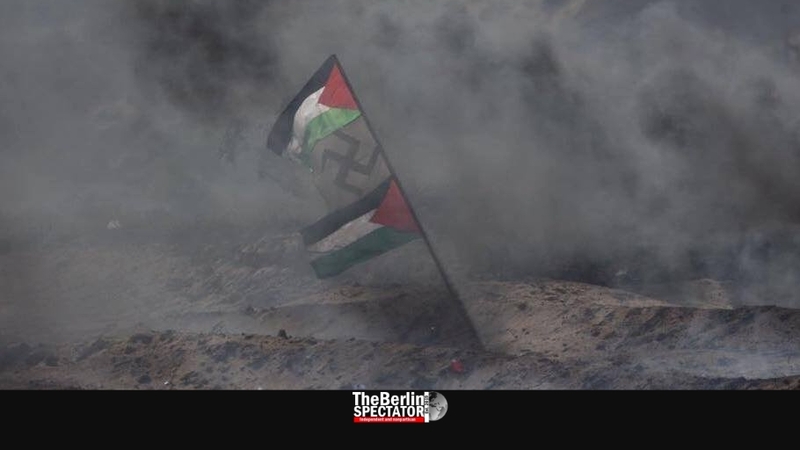 On today’s first anniversary of the so-called ‘Great March of Return’ protests at the border between Gaza and Israel, militant Palestinians will likely clash with the Israeli Defense Forces (IDF) yet again. When the ‘March’ started a year ago, it was supposed to last for six weeks. As expected from the start, the ‘March of Return’ was violent throughout. Since it commenced, 2,000 violent incidents were registered. More than 150 acts of arson were committed against the IDF. In addition, Palestinian terrorists at the border sent countless burning kites into Israel. As a result, more than 9,000 acres of land were burned and crops destroyed. Almost 2000 separate fires needed to be extinguished. On top of it all, Hamas has fired 1,323 missiles at Israel since its latest terror campaign began. After warning the inhabitants of Gaza not to take part in the violent riots, Israel defended its border. Tens of Hamas operatives and some civilians who took part in the terror activities were killed. Many were injured. Hamas’ terror campaign is being supported by some organizations in Europe, which consider themselves left-wing. They accuse Israel of attacking participants of what they call “peaceful protests”. For decades, parts of the European left-wing spectrum have been supporting Islamo-fascist organizations like Hamas, as long as they attack the only Jewish state in the world. In the course of the ‘Great March of Return’, Palestinian radicals have cut the border fence and entered Israel on several occasions, until they were stopped by the IDF. In one instance, they filmed themselves, vowing to “slaughter all Jews” during their ‘peaceful’ protest. Some European governments and Human Rights organizations have failed to clearly condemn Hamas’ terror campaign. The ‘return’ part in the title ‘March of Return’ refers to a promise made by former Egyptian President Gamal Abdel Nasser in 1948, when he and his coalition of several Arab countries waged war against Israel. Back then, he told Arabs in Israel to leave, saying they would be able to return two weeks later, once Israel was erased from the map. Many Arabs followed that call, others did not. Then Nasser’s coalition lost the war and there was no return. But today, more than 20 percent of all Israelis are Arabs. Many Arab Israelis are the descendants of those who did not follow Nasser’s call in 1948. The European supporters of Hamas’s terror campaign at the border fail to mention many aspects, including its violent nature, but also the latest resistance against their favorite terror organization from within Gaza.